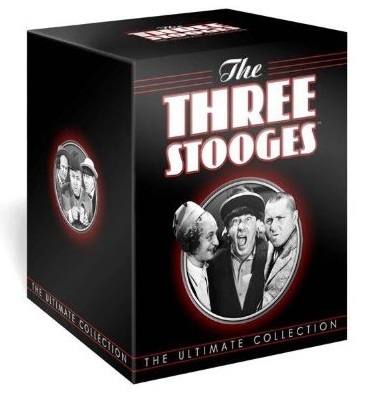 Coinciding with the recent release of the Farrelly Bros The Three Stooges, Sony Pictures has just released a 20 disc Stooges box set: The Three Stooges: The Ultimate Collection. There will be 17 discs of 3 Stooges shorts and 3 discs of Bonus Material. The bonus set will include Shemp shorts and a Curly feature, so Sony feels better about releasing it separately in addition to this set.